Tooth Abscess is a painful infection that arises when bacteria gains access to the root of the tooth through cavities. Cavities are formed when foreign substances enter into the through cracks or weak enamel. Redness and swelling of gums, sensitivity of teeth to hot or cold, foul smell are some of the symptoms representing tooth abscess. The throbbing pain caused by abscess tooth can be unbearable and annoying. Neglected tooth abscess can lead to life threating problems so consult your doctor immediately to remove the infection. Meanwhile, you can reduce the pain, swelling and other symptoms with natural home remedies like garlic. Is Garlic Useful for Treating Tooth Abscess? The unique combination of flavonoids and sulfur-containing nutrients in garlic heals inflammation caused by the infection. The sulfur-containing amino acid called Allicin found in garlic works as a powerful natural antibiotic that destroys the infection causing bacteria. Unlike pharmaceutical antibiotics, bacteria can not develop resistance to garlic no matter how frequently it is used. Garlic is a natural anesthetic that provides instant relief form tooth pain by numbing the infected area and reducing the sensation of pain. How to Use Garlic for Abscess Tooth? Garlic is most potent in its natural clove form. It can be placed directly on the infected tooth for providing instant relief from pain. Take a fresh garlic clove and place it on the infected teeth. Crush the garlic clove with your teeth so that the juices get into the abscess. Spit out the clove and rinse your mouth with warm water. Crush 4 to 6 cloves of garlic and add it to a cup of hot water. Stir it using a spoon and let it cool down until lukewarm. Take small mouthfuls of this solution, swish it and spit it out. Dip a clean q-tip in water to moisten it. Roll it in garlic powder and apply it directly to the abscessed tooth. Leave it on till the pain has subsided. Note – You can also dip a wet q-tip in garlic essential oil instead of the powder and apply it directly to the affected area of the mouth. The natural antiseptic and antibacterial properties of salt help to reduce inflammation, heal infection and relieve pain associated with abscess tooth. It also prevents the infection from spreading to the rest of the mouth. Crush 2 to 3 cloves of garlic and sprinkle generous amount of salt over it. Mix it well and apply this mixture onto the affected tooth. Leave it on for 10 to 15 minutes and then rinse your mouth with salt water. Reapply this remedy at least 2 times a day. Peanut butter contains a natural antibiotic substance called resveratol that kills the bacteria and speeds up the healing process. It also reduces the pungent taste of raw garlic. Take 1 teaspoon each of peanut butter and crushed garlic in a bowl and mix well. Apply this paste liberally over and around the infected tooth. Leave it on for several minutes. Follow this process 2 to 3 times a day untill the infection heals. Cloves have potent antiseptic, antibacterial and analgesic properties that help to reduce inflammation, numb the soreness and pain in the gums. Take a tablespoon of clove oil in a glass bowl. Add a tablespoon of fresh garlic juice to it and mix well. Soak a cotton ball in this mixture and hold it on the painful area for 10 minutes. Discard the cotton ball after 10 minutes. You can reapply this remedy several times in a day. Peppermint contains natural antibacterial properties that kills the bacteria causing infection and prevents the infection from spreading to other parts of the mouth. The anti-inflammatory properties heal the swelling. Take a handful of fresh peppermint leaves and crush them. Extract the juice from the crushed leaves and add a tablespoon of fresh garlic juice to it. Soak a cotton ball in it and hold it on the infected tooth for 10 minutes. Discard the cotton ball after 10 minutes and wash your mouth with lukewarm water after 30 minutes. Oregano essential oil possesses powerful antibacterial and antioxidant properties. It boosts the body’s immunity so that it can fight off tooth infections more efficiently and speed up the healing process. Take a glass of warm water and add 10 drops each of oregano essential oil and garlic essential oil to it. Use with water as a mouthwash and swish it for 10 minutes. Repeat this remedy 1 to 2 times every day – once in the morning and once before going to bed. Turmeric is well known for its rich antibiotic, antiseptic and anti-inflammatory properties that help to reduce inflammation and pain associated with abscessed tooth. It also helps to improve overall health. Take 1 teaspoon each of turmeric powder and crushed garlic in a bowl. Brush your teeth and apply this paste directly to the affected area. Leave it on for 20 minutes and then rinse your mouth with warm water. Reapply it once daily in the morning after brushing your teeth. Hydrogen peroxide has antibacterial and disinfectant properties that kill the bacteria and prevents the infection from spreading. It also helps to reduce inflammation of the gums. Add 2 teaspoons of hydrogen peroxide and 1 teaspoon of garlic powder to a cup of water. Rinse your mouth with this solution for a minute and spit it out. Follow this remedy 3 to 4 times a week. Note – Use only food grade, 3-percent hydrogen peroxide solution for this remedy. Apple cider vinegar restores the pH of the mouth and creates an unfavourable environment for the infection-causing bacteria to thrive. It also reduces inflammation, pain and disinfects the affected area. Add a tablespoon each of apple cider vinegar and fresh garlic juice into a glass of water. Swish this solution in your mouth for several minutes and spit it out. Note – Use only raw, unfiltered and organic apple cider vinegar for this remedy. Tea is a potent source of tannins that help to clear out toxins and heal infections. The astringent properties of tea reduce swelling and inflammation caused by abscessed tooth. Prepare black tea by brewing a teaspoon of tea leaves in a cup of water. Strain the tea and add a teaspoon of crushed garlic to it. Cover and keep the tea aside for 5 minutes. Take small sips of the tea, swish it in your mouth and then swallow it up. Raw garlic can cause a burning and stinging sensation in the mouth. So, it is recommended to wash your mouth with salt water after using the garlic remedies to relieve the burning sensation. Garlic can be used internally as well to deal with inflammation and infection. You can add 3 to 4 cloves of crushed garlic to a serving of plain yogurt and consume it every day. Those who are about to undergo any surgical procedure should avoid the use of garlic treatments because it acts as a blood thinner and prolongs bleeding. Maintain proper oral hygiene – brush your teeth 2 to 3 times a day and take time to clean your gums and tongue as well. Floss at least once a day to remove foods particles stuck in-between teeth. Use an anti-microbial mouthwash on a daily basis to reduce the risk of infections. Avoid chewing tobacco and give up smoking. Use a soft-bristled brush and clean your teeth gently without applying too much force. 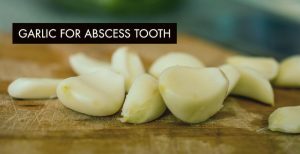 So, try out these easy and effective garlic remedies to get rid of abscessed tooth and tell us which remedy worked best for you. Do you have any other garlic remedy for tooth abscess that is not included in this list? Then please share it with us in the comments section. I kept a clove of garlic in my mouth most of the night because of a sore tooth and abscess! The tooth is much better, no pain,, but my gums are a little distorted. Will the garlic hurt my gums and should I use garlic again tonight? 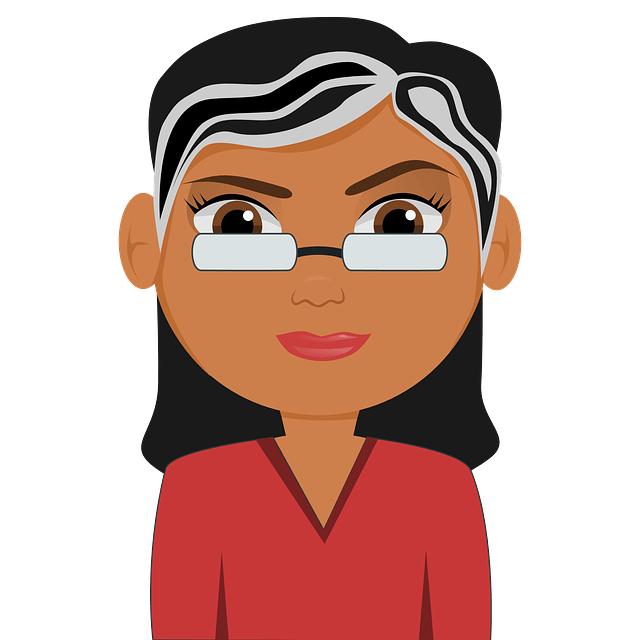 My dentist will call in prescription for an antibiotic; if my tooth is feeling better, do I need it?